Todd Wells, front, and Christopher Blevins represented Durango in fine fashion at the first US Cup mountain bike race of the year at Fontana City, Calif. Blevins won both the short-track and cross country races, while Wells recovered from a few mishaps in the cross country race to take third in short track despite a dropped chain. Todd Wells had a tough weekend at the first US Cup race of the season. A cut tire and a crash in the cross country event couldn’t keep him away from Sunday’s short track, though, as he raced to third place. Todd Wells had a few tough breaks last weekend in Fontana, Calif., but his legs feel strong going into the second leg of the US Cup this weekend at Bonelli Park. Mountain bikers have 10,000 reasons to give it their all in the US Cup this year. After the first of four weekends of racing this season, a couple of Durangoans showed they will be tough to beat. Christopher Blevins, a 2016 graduate of Durango High School, has been sensational to start the professional season. He won two of the three races at the Cactus Cup in Scottsdale, Arizona, to claim the overall title ahead of fellow Durangoan and three-time Olympian Todd Wells, who won the cross country event at the Cactus Cup. 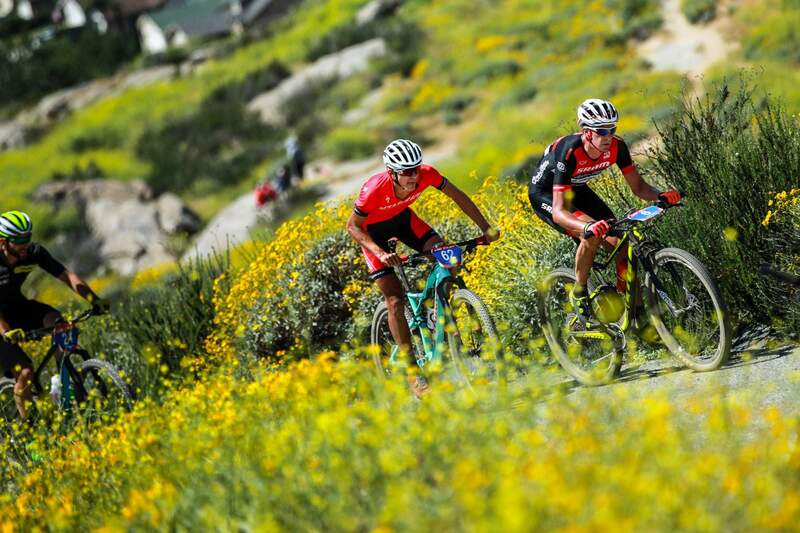 It was a similar story last weekend in Fontana, California, where Blevins won both the short-track cross country and cross country races in the UCI Pro Men’s category of the Fontana City National event in Fontana City, California. He battled with Wells in both races until mechanical issues slowed Wells. Fontana was the first of four US Cup stops in 2017. The winner of the season series in both cross country and short-track will claim a $10,000 bonus prize. Blevins, who will juggle an even split of mountain bike and road races across North America and Europe this season, said that is motivation to complete the next three events at Bonelli Park in San Dimas, California, this weekend as well as the Eastern Grind at Catamount in Vermont and the Boston Rebellion in Massachusetts this July. That $10,000 prize also helped Wells get through a tough weekend. He placed 33rd in the cross country event. Blevins and Wells were together with a big gap on the rest of the field halfway through the race when Wells suffered a cut tire. Blevins went on to win in 1 hour, 34 minutes, 22 seconds, while Wells finished in 1:50:36. “The race blew apart quickly, and after a lap or two of the six-lap event, we were a group of four or five,” Wells said. “Heading out on the fourth lap, I upped the pace on the pavement climb, dragging Blevins and myself off the front. Chris jumped me into the single track, and we got a gap. Another team in a tech zone helped Wells with a new tire and tube. The slow wheel change put Wells outside the top 10. He worked his way back up, but he got a flat again in the same spot on the next lap and had to ride even further to a different tech zone for another change. Unsure of whether or not withdrawing for the race would disqualify him from the season series, Wells limped back onto the course and finished the race. He said he was bruised but not broken. In the short-track race, it again was Blevins and Wells together in front with three laps to go. But Wells dropped a chain and couldn’t get it back on. With only two laps to go, he didn’t have enough time to climb back up with Blevins. Still, Wells was into second place but got outsprinted by Jerry Dufour of Alabama and had to settle for third place. 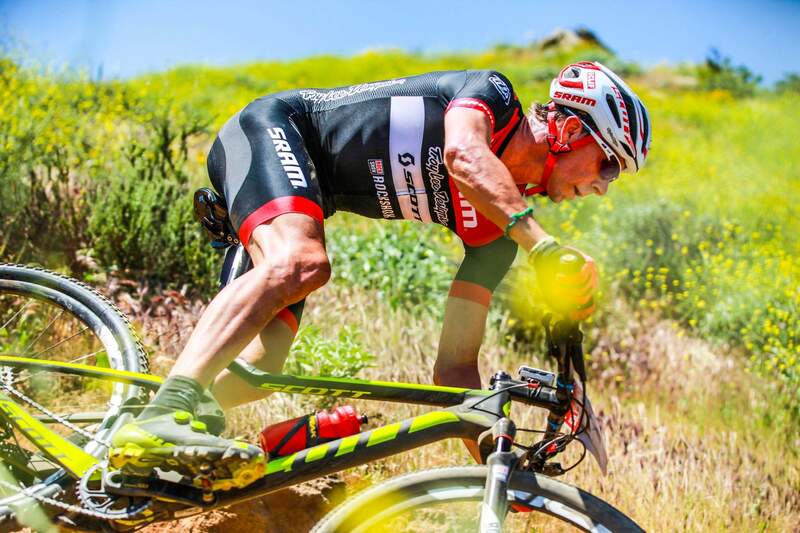 Both Blevins and Wells will race at Bonelli this weekend before returning home to Durango. Blevins will only be home for 10 days before getting on a road bike at the Tour of the Gila in New Mexico. Then he’s off to the Whiskey 50 in Arizona. Wells will stay home for the Iron Horse Bicycle Classic. Several Durangoans entered the pro men’s races at Fontana. In cross country, Daniel Johnson placed eighth, Stephan Davoust rode to 11th and Jacob Sacket claimed 17th. In short track, Johnson placed seventh and Davoust was 12th. Quinn Simmons, a 16-year-old defending junior short-track national champion, placed 29th in the 35-rider pro field. Simmons placed first in the 16-and-under cross country race earlier in the day and raced the pro short-track event only five hours after his cross country win. Simmons stayed in California with the Whole Athlete team for a team camp and will race in Bonelli this weekend. 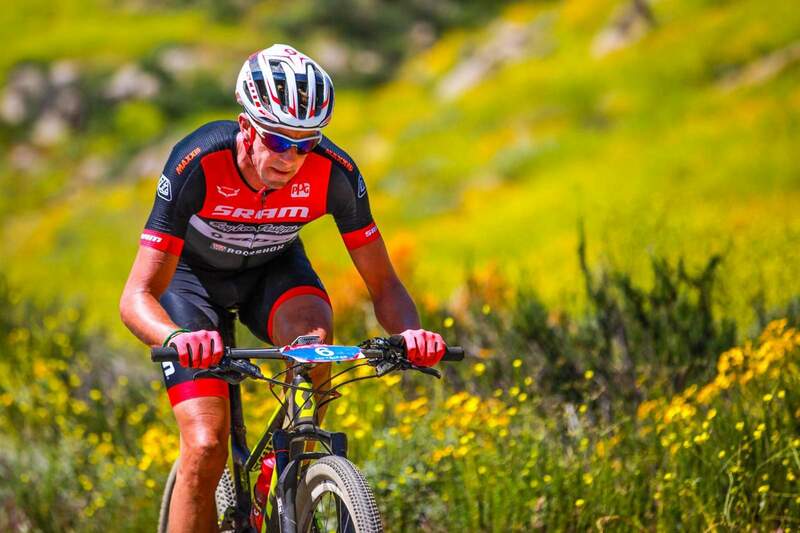 He’s also racing the Iron Horse this year to go with a full schedule leading into mountain bike nationals in West Virginia.